Baseball may be a popular American pastime, but its close relative, softball, is not to be ignored. Originating as an indoor form of baseball, softball has become a popular outdoor choice for a variety of people. Thousands of women’s softball teams exist in high schools and colleges throughout the country. Coed leagues for all different ages are popping up everywhere. With so many opportunities to enjoy a game of softball, it’s important to know how to train before and after a game. It’s also important to do so safely and efficiently. One thing a regular softball player would benefit from knowing is how to use electrotherapy for softball injuries. Electrotherapy has been around long before softball, and even before baseball. Ancient Egyptians used to step on stingrays to alleviate headaches. Now, electrotherapy devices are made simpler and smaller for easy home-use. This is great news for athletes of all kinds, as electrotherapy can be both a proactive and healing step in training and recovery. 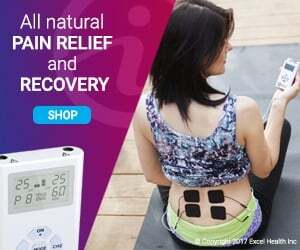 TENS (transcutaneous electrical nerve stimulation) is a type of electrotherapy that acts as a non-invasive, drug-free painkiller. TENS works by sending gentle electrical impulses to the nerve endings, which then stop the pain signals from reaching the brain. Because TENS is addiction-free, it can be used as often as needed. While TENS is a helpful way to relieve painful injuries outside of practice, many athletes find it useful during practice as well. If a sore muscle or tendon is bothering an athlete, he or she may overcorrect to avoid causing pain. However, this has the potential to cause even more tension and more injury. Using a small, portable TENS device such as iReliev’s TENS + EMS unit will help prevent this overcorrection. Pitchers may try using TENS on a tight shoulder, while other players might use it to treat a back sore from batting. Catchers may find TENS to be useful on sore wrists or knees. Another way to use electrotherapy for softball injuries is by treating them with EMS (electrical muscle stimulation). Like TENS, EMS uses gentle electrical impulses. In this case, however, the impulses are used to stimulate the muscles. This has a very positive effect on injured muscles. The stimulation helps increase blood flow and strengthen the muscles that it treats. Many injuries are best healed with time and rest. EMS is a safe way to make the most of the rest period. For instance, knee injuries are common in softball. This could be a damaged ligament or a torn meniscus. Such injuries can occur from sudden starts and stops when sprinting to a base. To lessen the likelihood of such an injury, it’s important to stretch and strengthen the muscles around the knee. Using EMS on an injured knee or leg muscle will help with this muscle conditioning. The same principle goes for other pains. Neck or back pain may occur in any position. However, the stronger those muscles are, the less likely you will be to injure yourself further. Elbows, wrists, knees and ankles all need proper conditioning and careful attention after injury. Ice, heat and rest are all important parts on the road to recovery, but TENS and EMS should be considered as equally valuable. 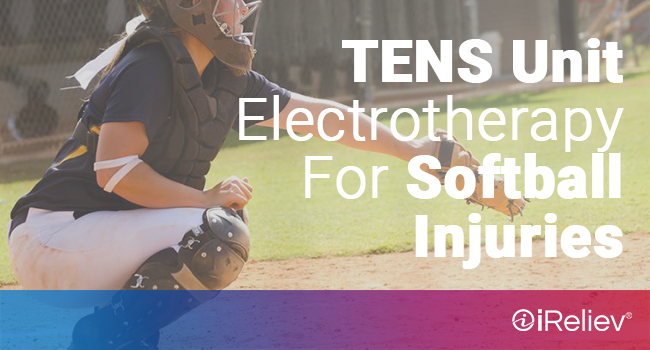 Using electrotherapy for softball injuries is a safe way to help stay off the bleachers and on the field.